There is 1 review for 'Legend of Ixtona'. 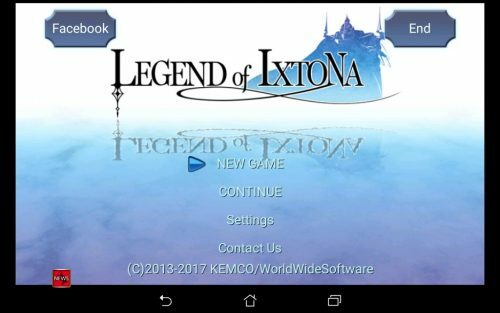 Legend of Ixtonia is one of the first Kemco games I played and it was amazing. For the most part it was there to fill in my want for a game like Fire Emblem or Final Fantasy Tactics and in return it became something of its own. The characters were fun and the artwork was great. The game gives you an Avatar to help immerse you in the world and for the most part it does the job. Oddly enough you don’t have the classic silent protagonist troupe which is refreshing. Though the next point I want to make is how,shockingly , the story wasn’t very predictable. Maybe because I wasn’t thinking about the story as a whole or just was enjoying the ride but the story had some twist and turns that was honestly good. A nice factor to this game is the replay ability given by both the class and skill system. Since there is so many characters there is a lot of variety to make your team. Though this brings up negative in the game. It is way to short. Even with bonus purchases and grinding I only had up to maybe an eight (8) hour playtime. Overall I’d have to say that this game is definitely one Kemco’s stronger ones. It is its own gem that I thoroughly recommend to anyone looking for a good tactical RPG to play.